There’s a certain “magic” that people feel when they visit Hana. It could be the way the sunrise feels like it was meant just for you, or the panoramic view of rolling green lawns backing up to the ocean bluff. Whether it’s for the natural beauty or the inspiring energy, Travaasa Hana provides an unforgettable backdrop to make your wedding day as memorable as possible. With a range of outdoor ceremony venues and even more indoor/outdoor convertible spaces, we’re able to customize everything from an intimate and picturesque ceremony to a grand Lu’au lasting late into the night. And our locations are just the beginning. Our team can tailor your dream union from start to finish, with everything from spa days to pamper your wedding party, to handmade tropical flower crowns, and entertainment including hula dancers and ukulele musicians. 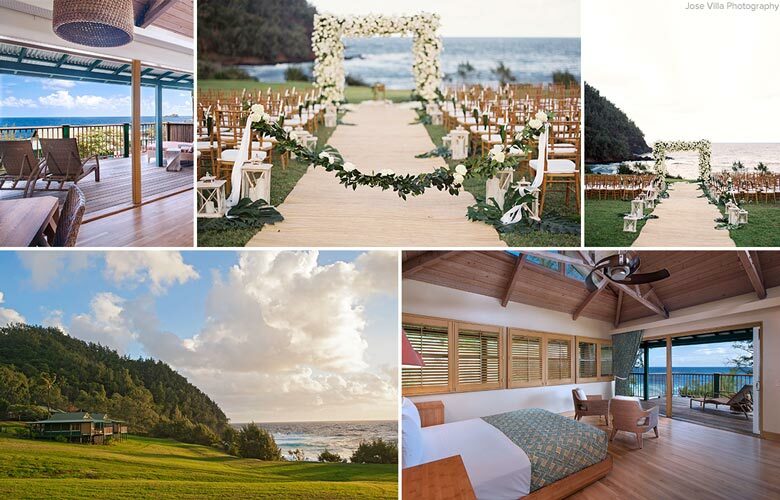 Whatever your wedding dream might be, Travaasa in heavenly Hana can help make it come true.